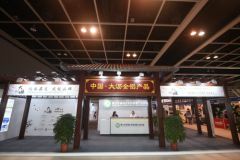 HONG KONG, Apr, 09 2019 - (ACN Newswire) - The 11th HKTDC Hong Kong International Lighting Fair (Spring Edition), organised by the Hong Kong Trade Development Council (HKTDC), came to a successful conclusion today. The four-day fair (6 to 9 April) welcomed around 21,000 buyers from 124 countries and regions, with a significant growth in attendance from markets such as Mainland China, Indonesia, Ukraine, France, the United Kingdom, Italy, Spain, Switzerland and the Nordic countries. 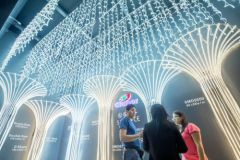 More than 1,430 exhibitors from nine countries and regions were featured at this year's Spring Lighting Fair, offering exhibitors and buyers an ideal promotion and sourcing platform.